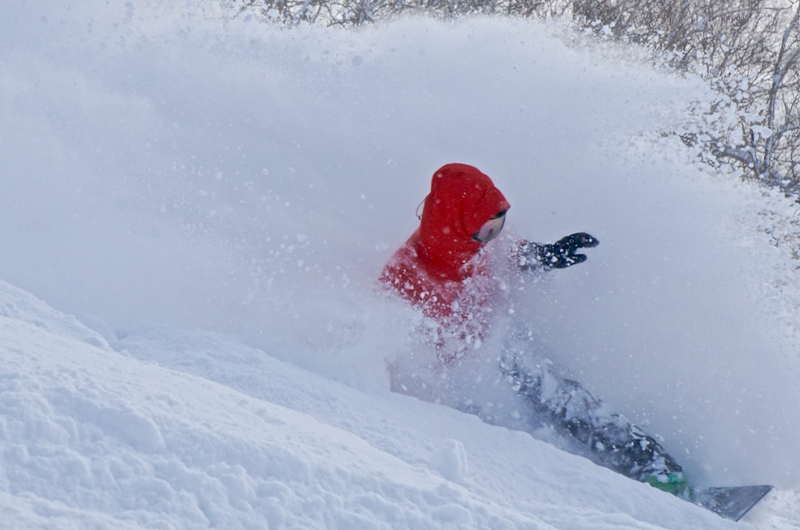 Hokkaido International School might have one of the coolest sports classes around – skiing in Niseko’s powder snow. HIS’s Niseko campus provides a world-class education to around 20 local students in primary grades 1-6 through the year. 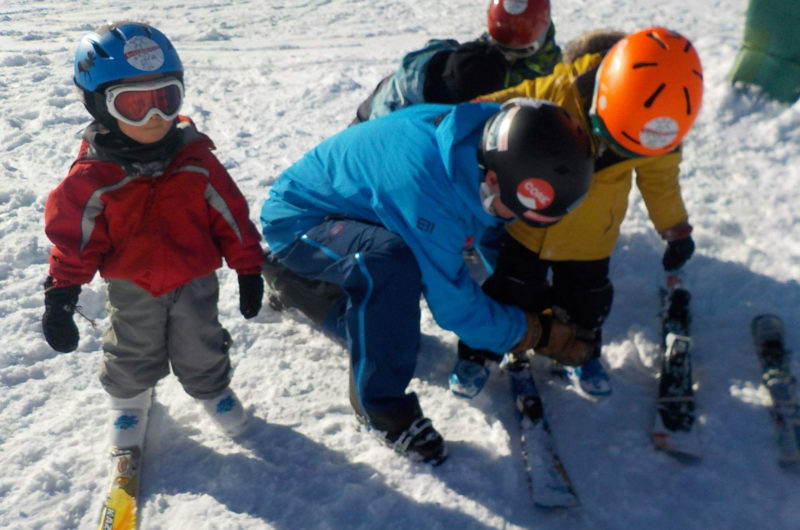 Children from Hong Kong, Taiwan, Malaysia, Singapore, Canada and more join the classes over the winter and all of them benefit from 6 full-day sessions on the slopes of Moiwa ski resort with professional instructors. 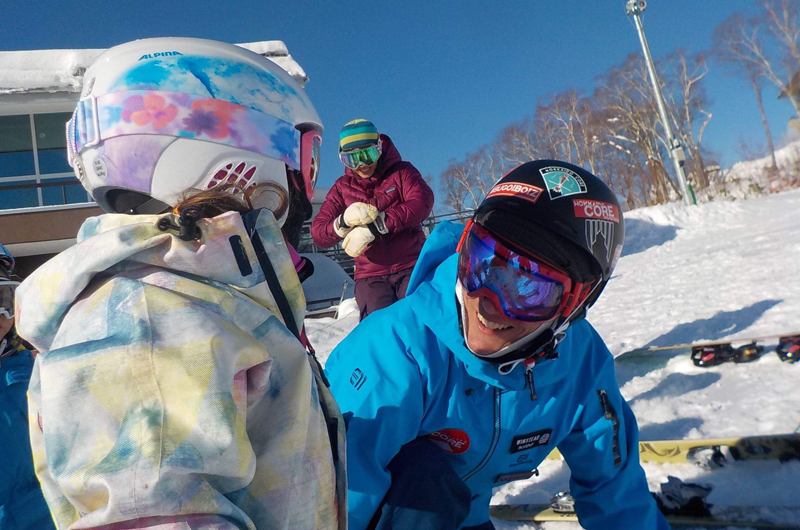 Tuition is provided at cost by Hokkaido Core Snowsports school, and headmaster Barry Mernin couldn’t be more thrilled: “Our children are getting educated by world-class instructors as part of their regular lessons,” he says. 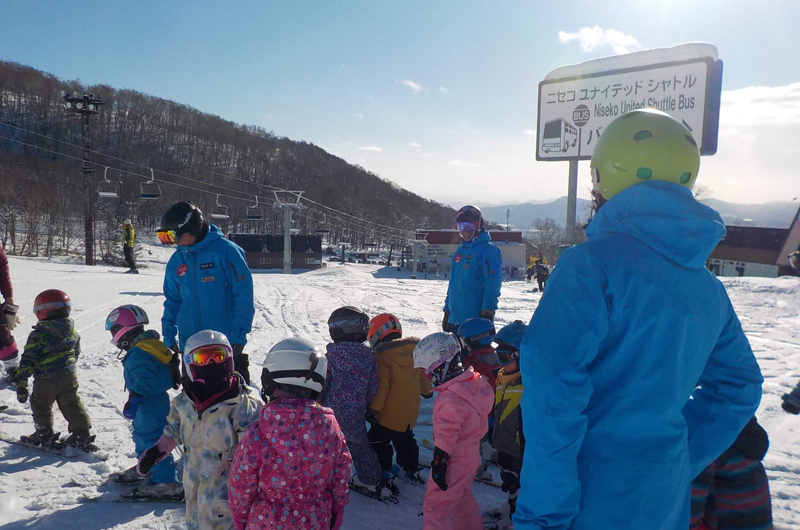 It’s all thanks to Hokkaido Core Snowsports School, who provide their instructors’ time to the school and cover the cost of all logistics. Founders of Hokkaido Core, Norris and Winse, approached Barry three years ago, and say the relationship has more than paid off. 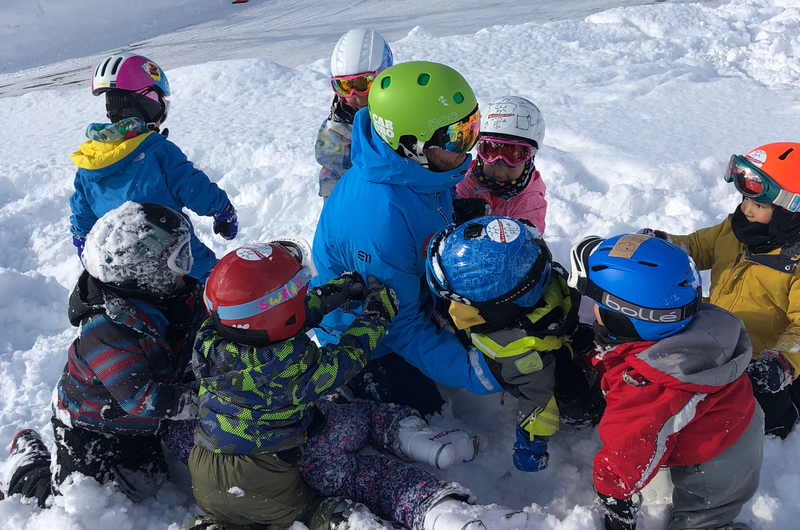 Winse lives year round in Niseko, and believes that community connection is an important distinction from other ski schools. 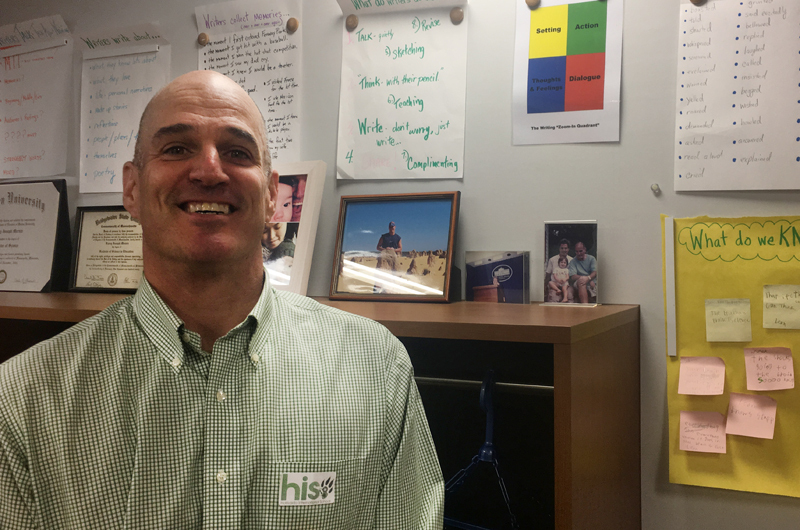 He and Norris are not only passionate about skiing and snowboarding, but also adamant that all of their instructors are repeating staff, staff they know personally and can rely on for top-notch instruction. This means that HIS kids get to have the same instructors each winter, letting instructors grow from teachers to role models and cool older brothers over the years. 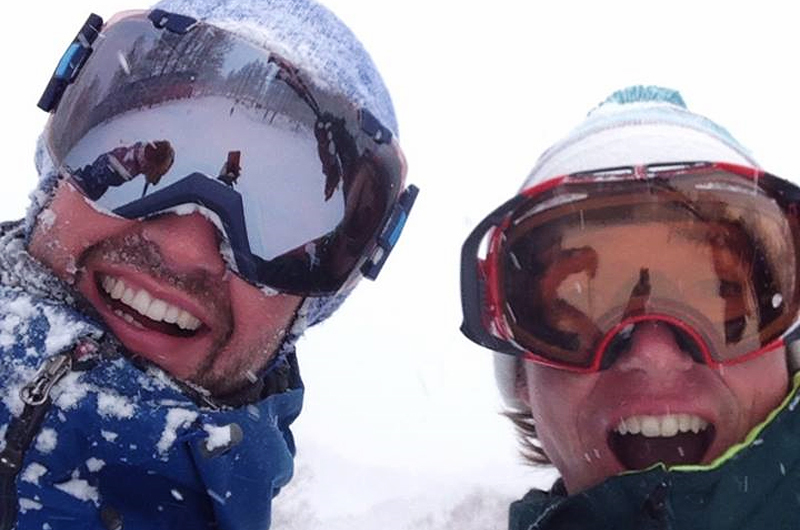 The parents at HIS are thrilled too – many are professionals involved in Niseko’s ski industry, whether in tourism, property management, or real estate and development. More than a few relocated to the area due to their love of the snow, yet work in winter keeps them too busy to go skiing with their children. 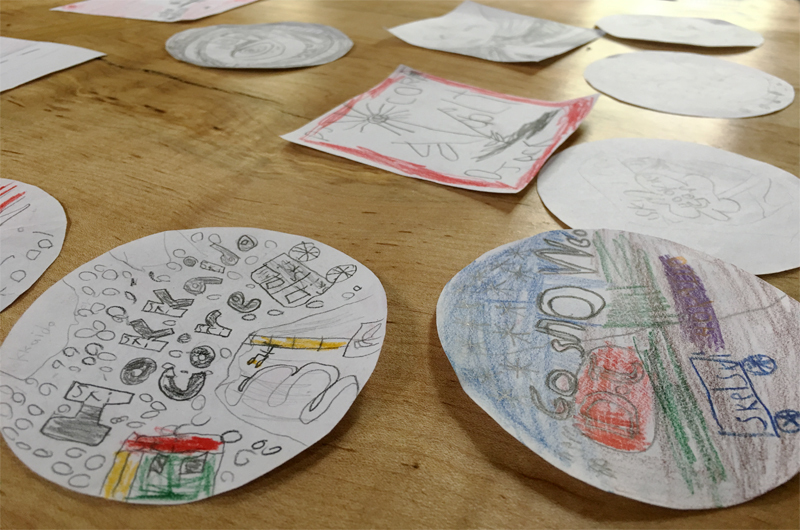 Hokkaido Core also gets involved with HIS through the summer months, hosting outdoor activities and recently running a sticker competition, with the winning design being used on their merch.